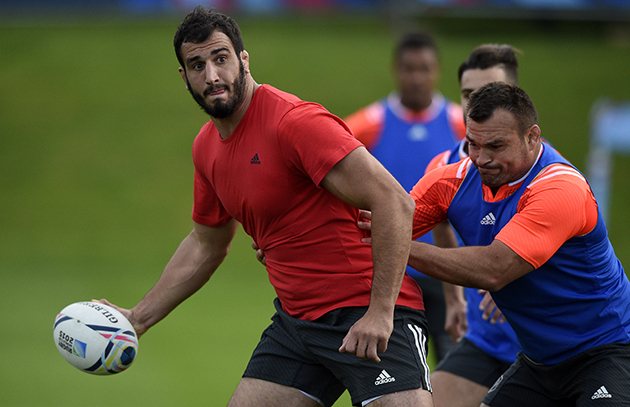 World Cup 2015: Time for a France revolution? The front page of Tuesday’s L’Equipe was a call to arms. After Sunday’s dismal defeat by Ireland, the French sports daily urged the France players to “revolt” against their coaches, to rise up against the troika of Philippe Saint-André, Patrice Lagisquet and Yannick Bru, and take matters into their own hands ahead of the quarter-final clash with New Zealand. 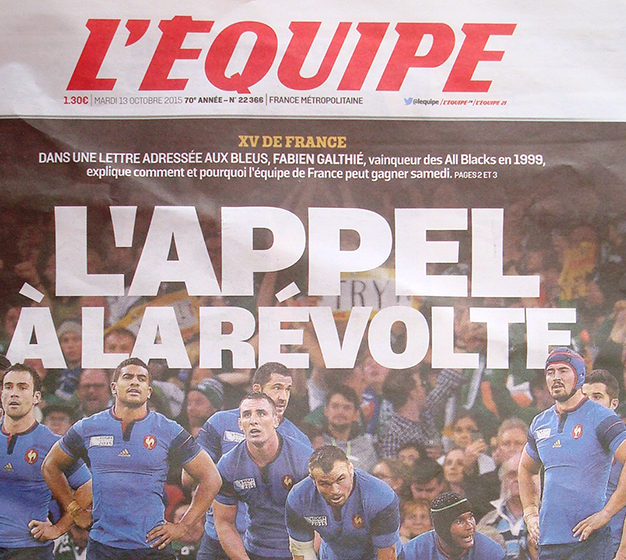 As one would expect L’Equipe evoked the past in its sedition, drawing on France’s famous victories over the All Blacks in 1999 and 2007. Such comparisons are tenuous. In neither World Cup campaign were France so sterile as they have been in the 2015 tournament. If France are to look to any World Cup for inspiration it’s 2011, a tournament in which they were beaten 8-7 by New Zealand in the final. The fact they got that far was remarkable in itself given the chaos that reigned in the pool stages. Thrashed 37-17 by New Zealand, France then lost to Tonga 19-14 and made it through to the quarter-finals only because they were in such a weak pool. Harinordoquy, who also claimed that he felt Lievremont as a coach “was lost”, was one of a number of strong characters in that French squad, along with the likes of Aurelien Rougerie, William Servat, Julien Bonnaire and Vincent Clerc. Not only were they prepared to stand up to a coach they thought had lost the plot, they also had the wherewithal to coach themselves. England did something similar in 2007, when a cabal of senior players, including Mike Catt and Lawrence Dallaglio, allegedly took over from Brian Ashton during the pool stages and guided the team to the final. 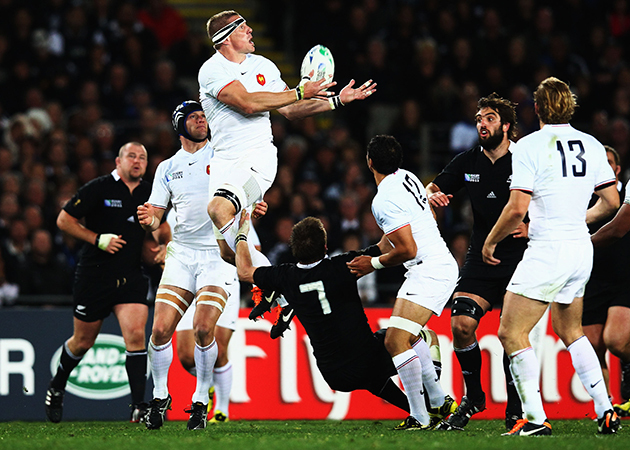 In both cases the players who took the initiative were very much products of rugby’s amateur era. Players such as Dallaglio, Catt, Bonnaire and Harinordoquy were rounded men, individuals with their own opinions who weren’t afraid to voice them. Not for them the pampered, politically-correct environment of today’s top international teams where players can be fined five-figure sums for going off-message on social media and their coaches drone on daily about ‘culture’ and ‘values’. France need some strong men to stand up this week and challenge PSA’s belief that defence and ‘combat’ are enough to win Test matches. In his four years in charge France have finished no higher than fourth in the Six Nations, and suffered series whitewashes in New Zealand and Australia. So who might the leaders be in any challenge to PSA’s authority? A photograph published in Monday’s Midi Olympique showed Yoann Maestri barging past Saint-André as he left the pitch on Sunday. An accidental collision, wondered the paper, or the deliberate act of a man who no longer has any respect for his coach? The giant Toulouse second-row commands respect within the squad and is one of the players named by L’Equipe as possessing the presence to instigate a revolt. Other players cited by L’Equipe are Yannick Nyanga, Pascal Papé and Nicolas Mas. But would they take with them the captain? Thierry Dusautoir, who has now led France a record 54 times, has always been PSA’s loyal lieutenant. The 33-year-old flanker, plagued by injuries since the last World Cup, is nearing the end of his Test career and doesn’t deserve to bow out with another demoralising defeat. Dusautoir is a dignified and courageous man, and also an intelligent one, which is why he’s unlikely to lead an open revolt against the coaching staff. Because what will that achieve? He knows that emotion alone is not enough to beat New Zealand, and all this talk of 1999 and 2007 overlooks one essential point: the lack of top-class talent in this French squad. How many of the backs that lost to Ireland, for example, would challenge for a place in the 1999 line-up of Xavier Garbajosa, Philippe Bernat-Salles, Richard Dourthe, Emile Ntamack, Christophe Dominici, Christophe Lamaison and Fabien Galthie? Probably only Scott Spedding would dislodge Garbajosa at full-back. Similarly the 2007 threequarter line included Vincent Clerc, Damien Traille, Yannick Jauzion and Cedric Heymans, all superior technically to anyone in the 2015 squad, while the 2011 vintage also contained several world-class players. 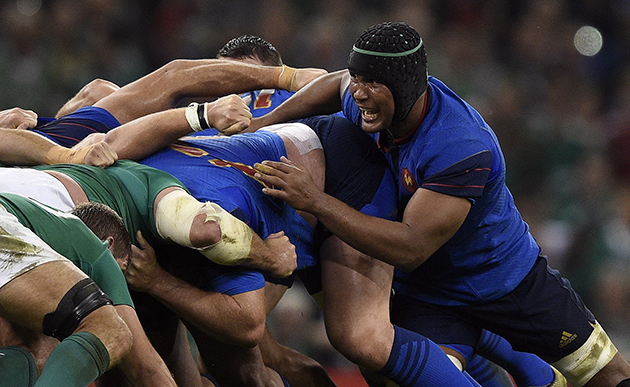 That’s not to say France don’t have better players available than the XV that started against Ireland. The inclusion against New Zealand of Rory Kockott, Bernard le Roux (in the second row), Nyanga and Gael Fickou would give France greater dynamism and creativity but there are deeper problems facing France. A country once revered for the skill and adventure of its back-line now produces centres incapable of giving a pass and wingers unable to beat an opponent. The revolt that French rugby needs is against the negativity and conservatism of the Top 14 that has produced a generation of technically deficient French backs. But that’s a long-term issue.